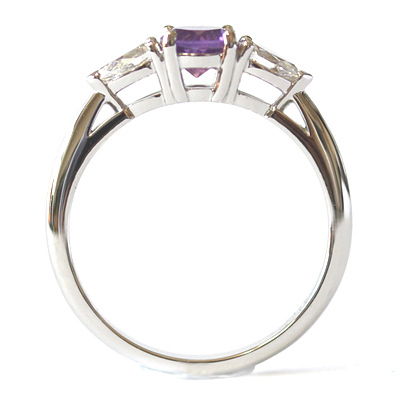 Platinum Amethyst and Diamond Trilogy Engagement Ring — Form Bespoke Jewellers Ltd.
A platinum trilogy engagement ring with a beautiful amethyst and diamonds. 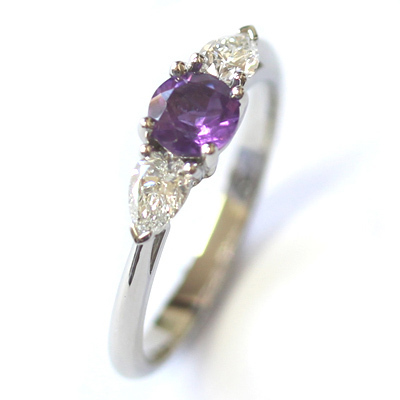 A round brilliant cut amethyst holds the centre position in this delicate trilogy engagement ring. It was hand-picked by the customer from a selection sourced by our expert Yorkshire jewellers. This is a lovely service we are able to offer our customers as a bespoke jewellers. As we create your ring from scratch and you choose its specific components, including your perfect precious stone/s! 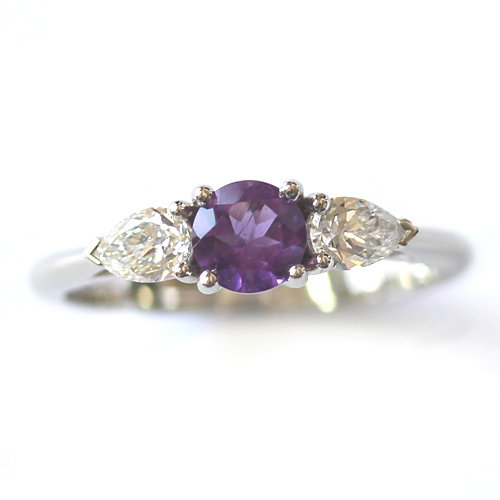 Flanking the amethyst are two matching pear cut diamonds. The tapered end of the diamond ends in a neat v-claw setting, which in turn complements the tapered, shaped shank of the ring. An elegant and subtle design feature. The customer and their now-fiancee were thrilled with their bespoke platinum engagement ring and kindly sent us a testimonial.